One evening while relaxing by the fireplace, I browsed the Williams Sonoma website on my iPhone looking for lemongrass hand soap and moisturizer. I found them and clicked to add the items into the cart. But before I could make the purchase, something else caught my attention and I closed the browser thinking I would return at a later time to complete the buy. Although I put the items in the shopping cart from my mobile device and closed the browser, the next morning it was my husband who received that famous "you forgot something in your cart" email, not me. He promptly forwarded the email to me asking if I had made a purchase, or at the very least, put items in the shopping cart under his name. This scenario may seem like a simple data glitch, but it's not the type of experience marketers want consumers to have. It may even cause someone to never again visit the site. Or in my husband's case, to unsubscribe to the newsletters he never agreed to receive. "These are your people," he typically tells me when something happens that he cannot explain. Situations like this are unfortunately going to happen, says Liz Miller, senior vice president of marketing at the CMO Council, as marketers try to connect known and unknown visitors. "They just missed it by an inch," she said. "Had they actually met their mark it would have been a wonderful experience." I am a frequent buyer and a Williams Sonoma rewards member, so it's important to reveal that I did not log in to my account to put those items in the online shopping cart. Not only do I purchase merchandise from Williams Sonoma, but I also frequently buy products from its sister companies such as Pottery Barn Kids. I reached out to media relations at Williams Sonoma, but did not get a response. Determined to find the reason for their mistake, I began making phone calls. 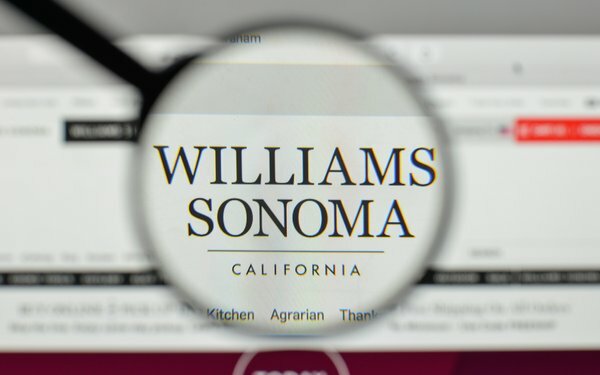 One marketer I spoke with thought the technology that Williams Sonoma uses scrapped our IP address and linked it to my husband's email address stored in their CRM database. He gave it to the company the last time -- the only time -- that he made a purchase a few months ago at the Pottery Barn Kids. One avid entrepreneur in the advertising space pointed me to identity-based platforms that try to resolve everything related to the household, but in this case they got it wrong. And maybe got him "a little pissed off" because he never had a permission-based relationship with them. "They might have permission for someone in the household to receive emails, but that doesn't mean everyone in the household gave their permission to correspond with them," the marketing entrepreneur said. "It's sort of like a fail, but a fail with interesting ramifications." My husband didn’t give Williams Sonoma permission to send him emails, but he did make a purchase and provide his email address for correspondence on a prior purchase. Depending on how Williams Sonoma’s loyalty and CRM systems are set up, per one marketing executive, they would have needed to choose one or more email addresses that match the IP address to send the reminder email. If he made the last purchase, his email address might have been the primary address, so the email went to him because they couldn’t verify the customer. The person would have needed to opt-in to some form of communication. This one glitch -- one in a handful -- is just the beginning of many more to come as companies push the boundaries of permission-based marketing and customer match from companies like Adobe, Google, Bing and LiveRamp. And here's a bit of advice, as more companies issue loyalty numbers to couples and tie them to email addresses: Retailers need to ask more questions at checkout to confirm which person in a household of five made the purchase. 3 comments about "Williams Sonoma Pushed The Boundaries Of Permission Marketing And Failed". Peter Rosenwald from Consult Partners, March 25, 2019 at 3:35 p.m.
As you must know better than most, the whole OptIn issue is just gaining traction but it is gaining it fast. If I opt-in to Meredith publishing, for example, does this give them permission to Email me promoting any of their titles or products? Without meaning to be rude, your husband seems to be coping out, putting the burden of OptIn of OptOut on you, not an unusual story. The real question that is going to get thornier and thornier as we try to decide (and then remember) what we opted in for and what we opted out of in the rapidly changing digital world. And that will inevitably lead us to this thread of questions I recently posed in an article. Do we perceive that we get enough value from having our data out there in the marketplace to be manipulated however the marketers wish to and simply lie back and enjoy all the offers and benefits? Or should we bite the bullet, give our cell phones to a needy child, do without Waze and get lost again and again, be prepared to stand in the endless line at the bank, pound down the ‘delete everything’ key and effectively remove ourselves from the digital economy? It is getting near decision time for all of us. Laurie Sullivan from lauriesullivan, March 25, 2019 at 3:42 p.m.
Hi Peter, Thank you for commenting. On my husband's phone, permissions are turned off. He opts out of everything. Waze is just one of them. He won't use Facebook or LinkedIn, and won't download and use most apps, including iTunes, because he doesn't want to give the app permission to access his phone contacts or photos on his phone. Matt Ruzz from Hiring? Let's talk!, April 8, 2019 at 6:43 p.m.
Rather common use case in the “marketing cloud” / “ Data cloud” / “identity resolution” space. From there Williams Sonoma now has an email address to match with the cookie (or other session identifier) when the shopping took place, and they tee up a email that looks perfectly targeted and maybe even has a coupon or discount to get you over the finish line and complete the purchase. The fact that you’re a frequent customer and your husband is a vigilant protector of his personal data makes the situation that much more ironic. WS was *this* close to executing aseemingly perfect cart abandonment campaign, even though behind the scenes the process that they like likely used to identify your husband or you is not at all what you would’ve thought, and likely involved 3 to 5 distinct data and or technology partners with whom Williams Sonoma has a relationship. This isn't the future. These programs have been up and running for well over a year. Just to be perfectly clear this assessment comes only from my personal experience working in the industry and not from any direct or indirect knowledge of the systems and partners with whom William Sonoma works. It’s entirely possible that I am 100% wrong and have mischaracterized the entire process.